Mike Isabella in 2014. Photo by Greg Powers. 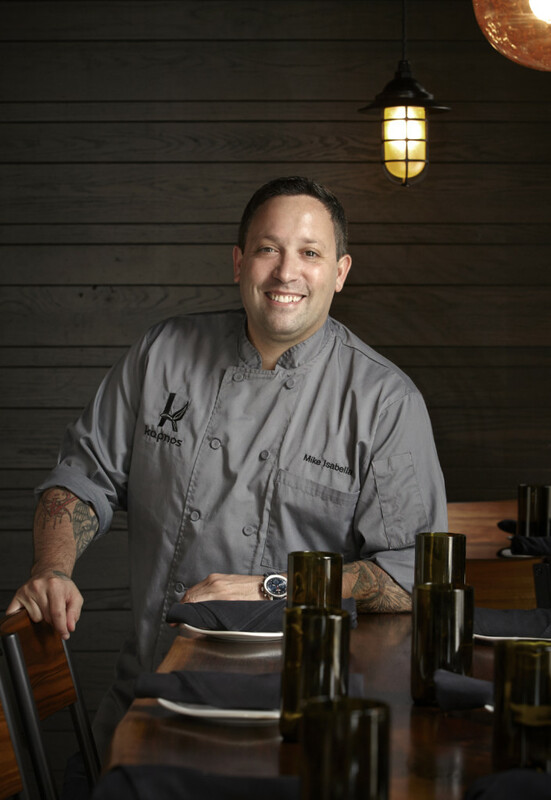 One year ago, Mike Isabella seemed to be on the cusp of an all-out Northern Virginia takeover. The Top Chef star had already scored a hat trick in Ballston’s Liberty Center with popular restaurants Kapnos Taverna, Pepita and Yona. He’d established an upscale presence in the Mosaic District with the arrival of Requin, the French brasserie he opened with fellow Top Chef competitor Jennifer Carroll. 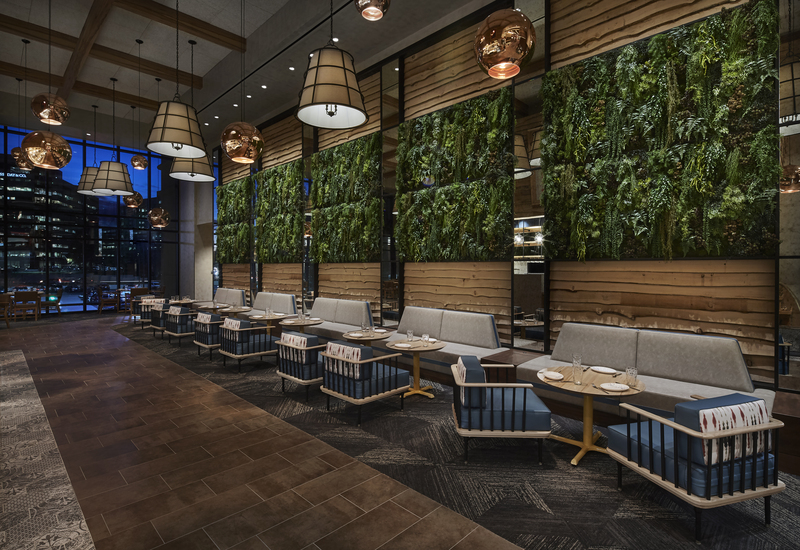 And he was on the verge of unveiling his massive Isabella Eatery, a 41,000 square-foot, 9-concept food hall in Tysons Galleria. Now the celebrity chef may well be vanishing from the map on this side of the Potomac. Isabella filed for Chapter 11 bankruptcy in federal court on Sept. 6, the Washington Post reports, putting in motion a financial reorg that applies to all but two of his restaurant properties. It’s a dramatic fall for a restaurateur whose company, Mike Isabella Concepts, at its high point included more than a dozen restaurants and eateries in the D.C. area, worth more than $30 million. That empire began to unravel in March when Isabella was sued by one of his former restaurant managers, Chloe Caras, for sexual harassment. Though the suit was settled out of court, Isabella was subsequently dropped by his PR firm, customers took to social media to organize Isabella boycotts, and the Restaurant Association Metropolitan Washington rescinded two industry award nominations the chef had received. In April, Requin shuttered its Mosaic District location. (Isabella is reportedly now being sued for unpaid back rent on that space.) And in August, Isabella Eatery closed, a mere nine months after it opened, leaving scores of employees looking for new jobs. Isabella Eatery in Tysons closed in August. Photo by Greg Powers. Isabella did not respond to an Arlington Magazine request for comment. Though two of the chef’s best performing restaurants—Requin at The Wharf in the District and Kapnos Kouzina in Bethesda—were left out of the bankruptcy filing, the fate of his Ballston properties is uncertain. Observers say the notion of an Isabella comeback in Northern Virginia seems unlikely. The Isabella brand also is notably absent from the soon-to-open Ballston Quarter, where developer Forest City has already locked in more than a dozen restaurants, adding some steep competition to Ballston’s dining landscape. Ballston Quarter is located just across the street from Kapnos Taverna, Pepita and Yona. But some Isabella employees are planning their exit.